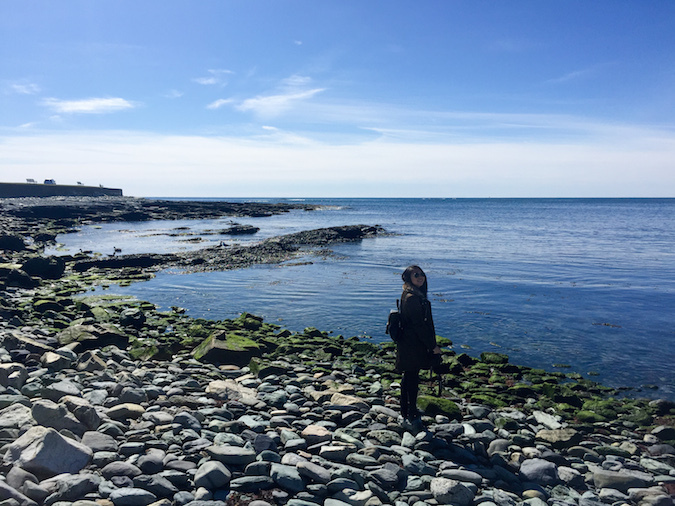 To celebrate the start of our post-grad careers, my friend and I took a road trip last weekend to the stunning coastal town of Newport, Rhode Island. Despite it being the off-season, we were able to enjoy many of Newport's gems with a sense of tranquility that fades once summer comes. 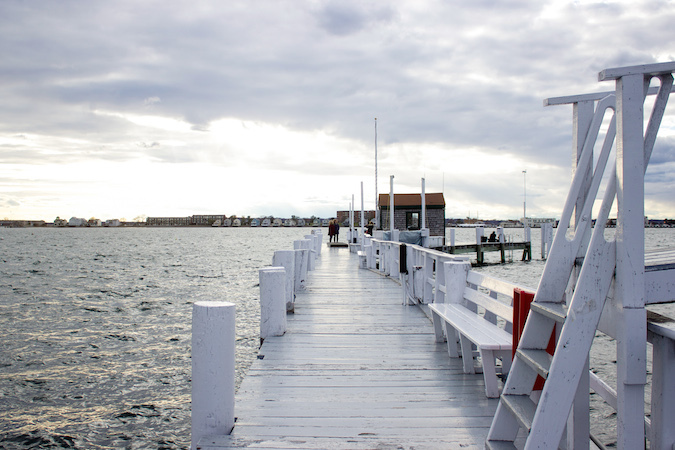 For anyone looking for the quintessential seaside weekend trip, this town has it all. 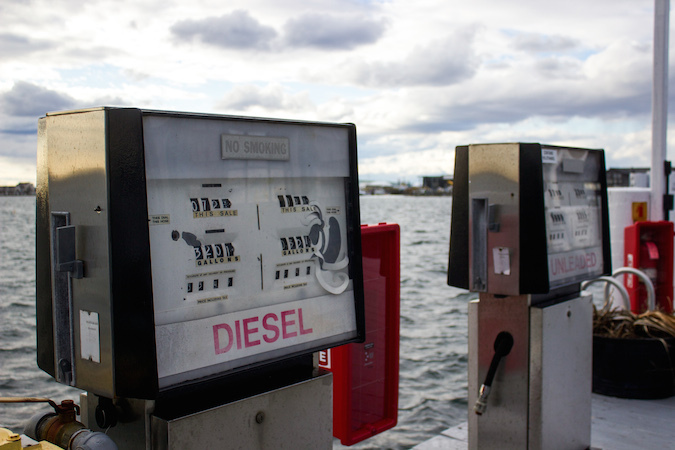 These are the must-see marinas in the downtown area. You will find everything from beautiful views, high-end shops, and best of all, endlessly delicious dining options. I am dying to visit during the peak season just to watch the boat action around this lively marina. If you need an afternoon break, make a stop at Coffee Grinder for more than just coffee. While I've read that their drinks are delicious, we opted for the warm chowder on this cold March day. 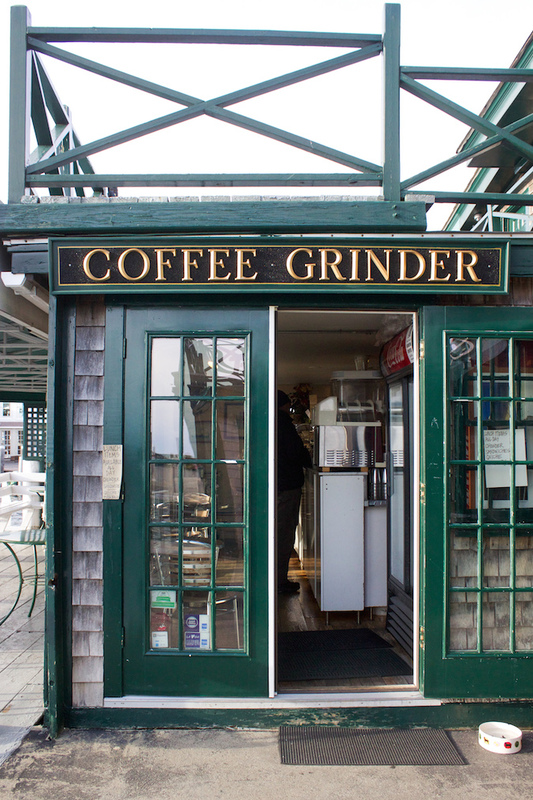 Don't be deceived by the cafe's name; they are experts with clam chowder too! 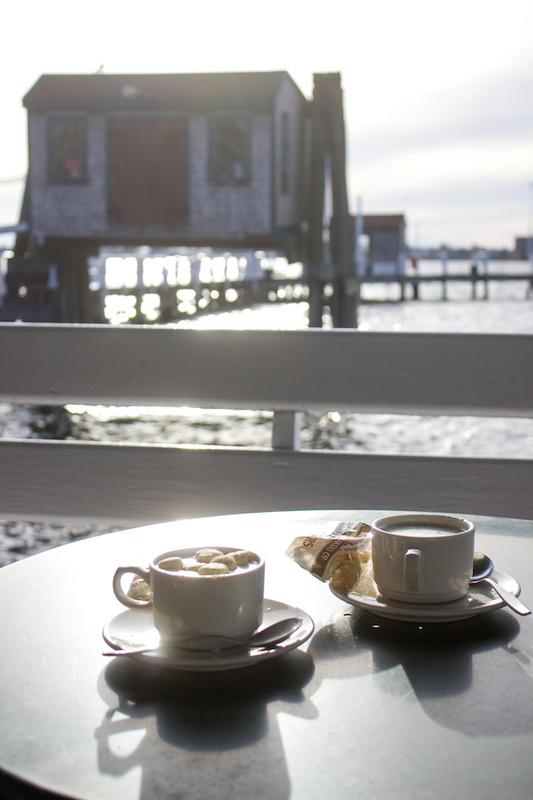 Grab a cup, and enjoy by the water. 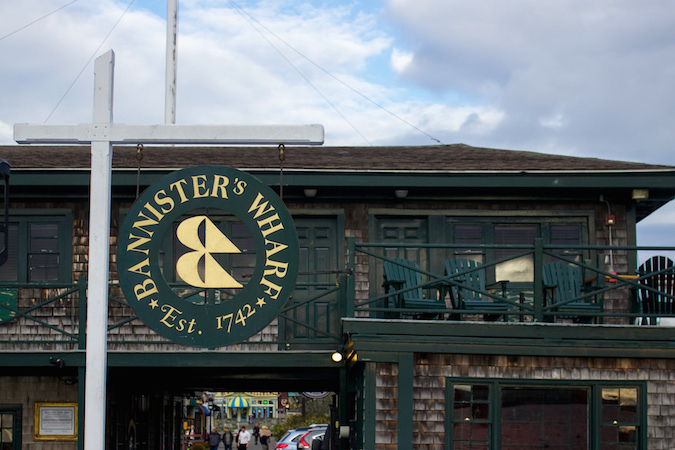 Our favorite restaurant of the trip was The Mooring, also located within Bannister's Wharf. While you enjoy waterside views from your table, you'll be treated with endless choices of top quality seafood. 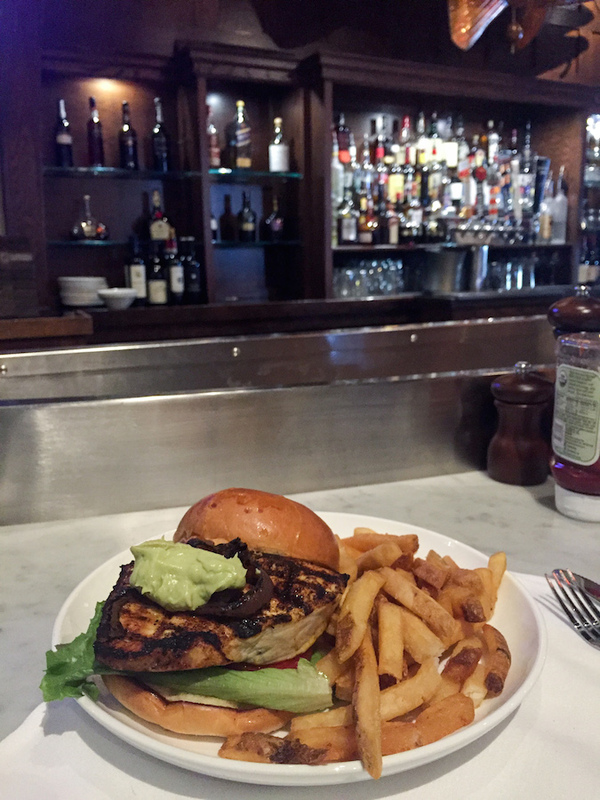 I went for the swordfish sandwich with avocado creme fraiche. Whichever dish you order, don't miss their addicting fries! 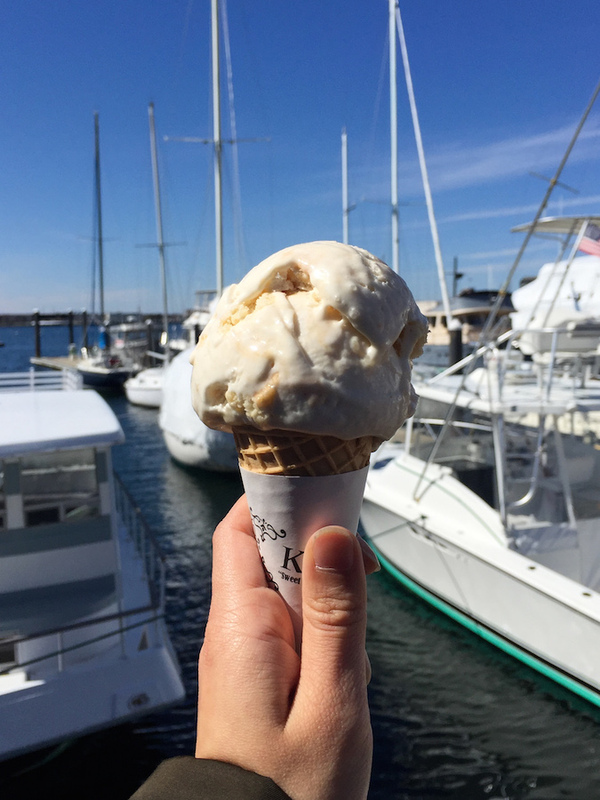 Kilwin's is easily the best ice cream shop in Newport. Despite the winter temperatures, we went twice with no regrets. I highly recommend the Apple Pie flavor! 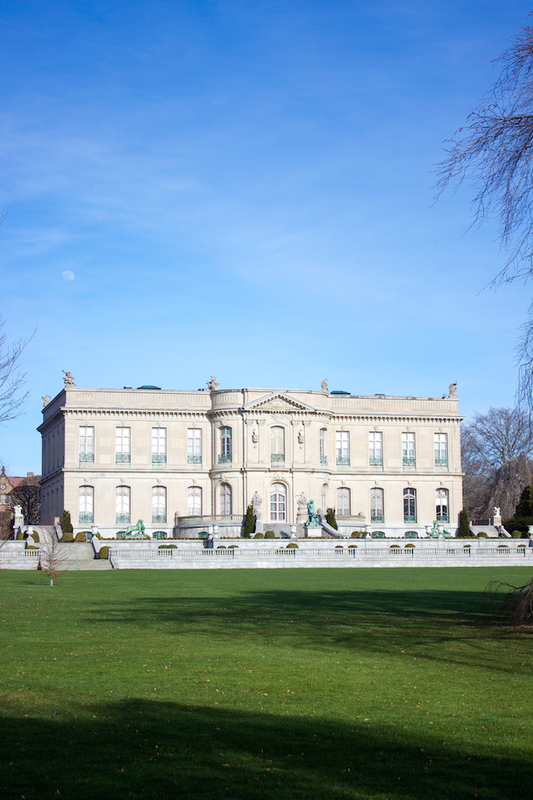 Mansion visits are likely the top tourist activity in Newport. These seaside villas are absolutely stunning and worth at least some of your time in town. To get the most out of your tours, be sure to carefully read the visiting schedule online and organize accordingly. 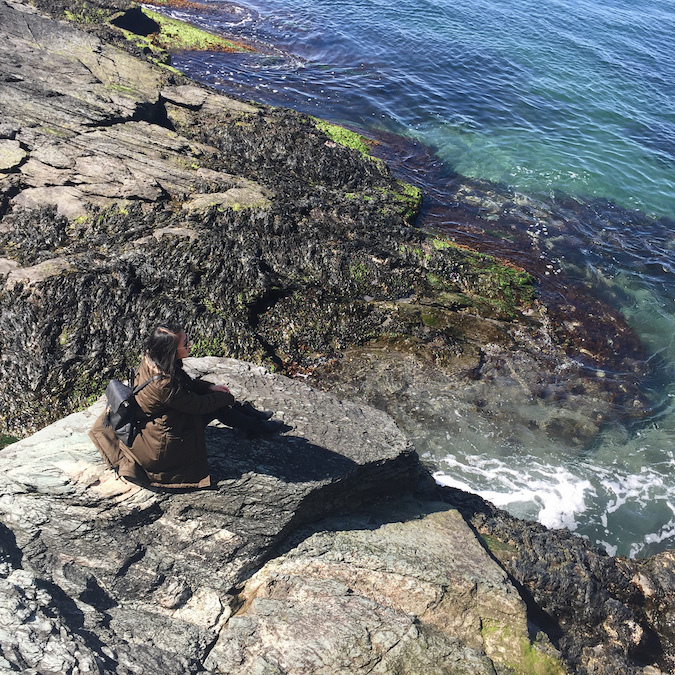 If you take on the famous Cliff Walk (and you definitely should), it is also easy to visit some of the homes along the way. 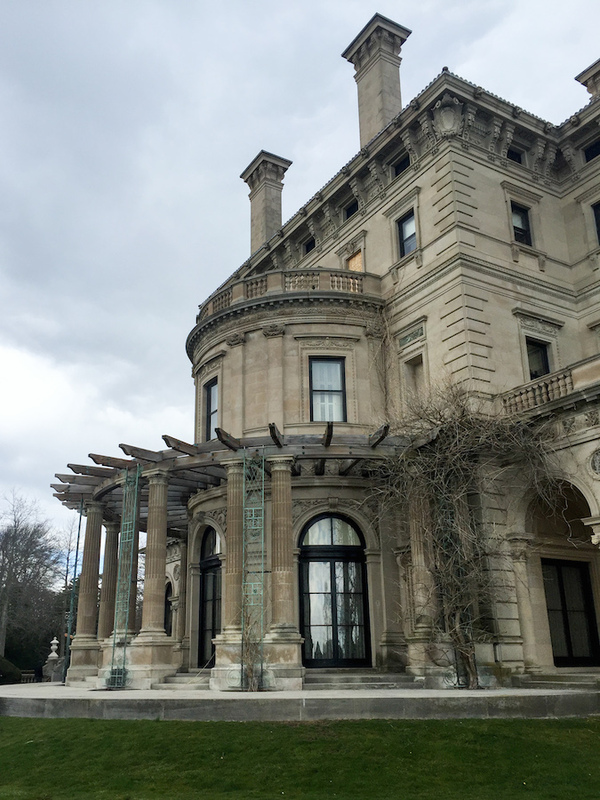 Perhaps the most iconic mansion in Newport is The Breakers, which was once owned by the infamous Vanderbilt family. 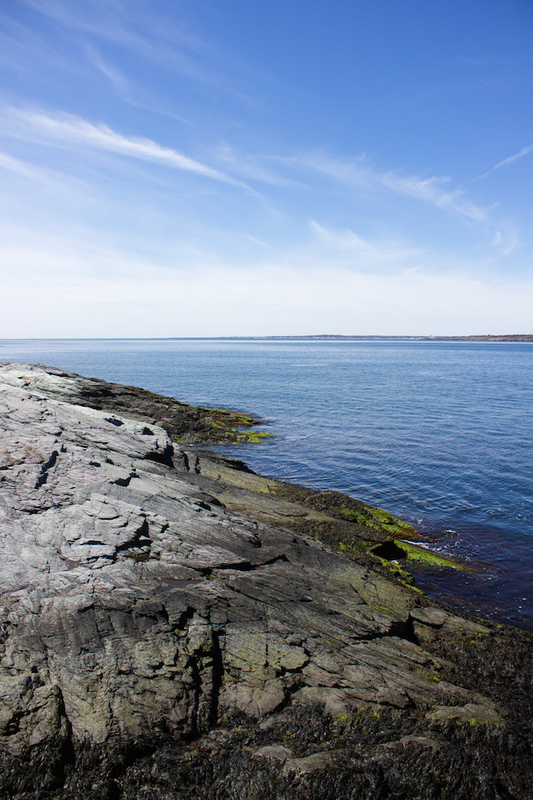 This home is easily accessed from the Cliff Walk, so be sure to stop by for a self-guided tour (I wouldn't recommend the guided tours if you are lacking time). 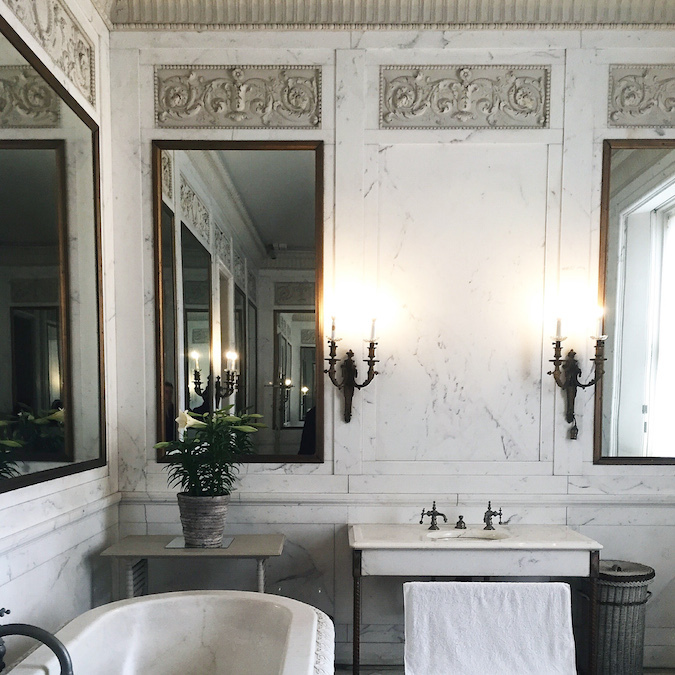 Pictured below is my favorite room of the house, the crisp marble bathroom. Nearby is The Elms, which is always available for self-guided tours. This is another beautiful villa that includes several international references through its interior artwork and design. Whether you bike or drive, don't miss the coastal views along Ocean Drive. 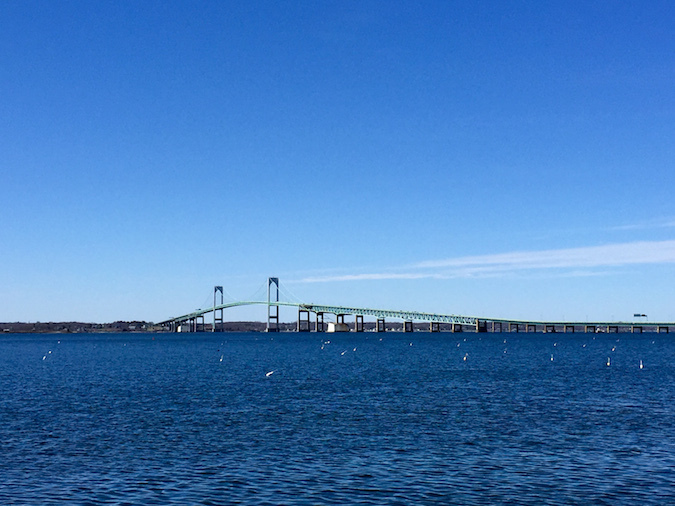 This is a ten-mile journey that offers some of Newport's best scenery. 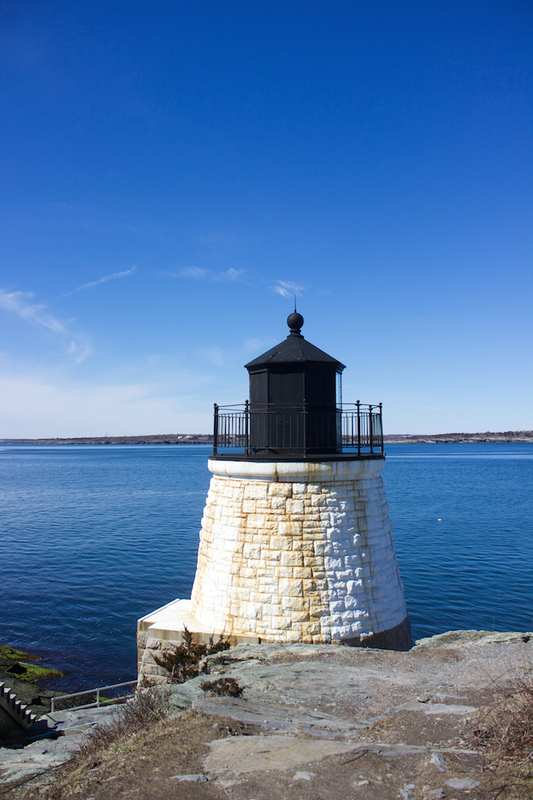 We made a stop nearby the Castle Hill Inn in order to enjoy both the shore and the lighthouse located at the famous hotel. Please feel free to leave any questions you might have about visiting Newport! With the start of work, I have made it a goal to take on even more weekend getaways. Stay tuned! I envy you so much, I wish school was not in session for me to be able to travel a lot. This looks like such a beautiful place. 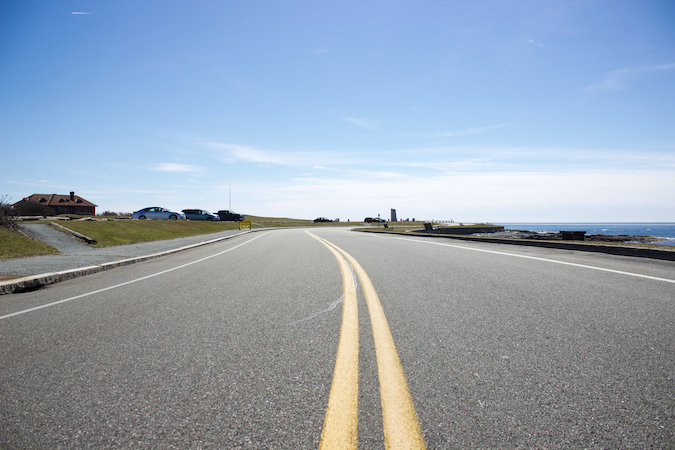 You should take weekend or day trips! That's how I fuel my travel bug now that I'm working haha. Thanks so much, Alice! It really is a beautiful town. Nice shots. 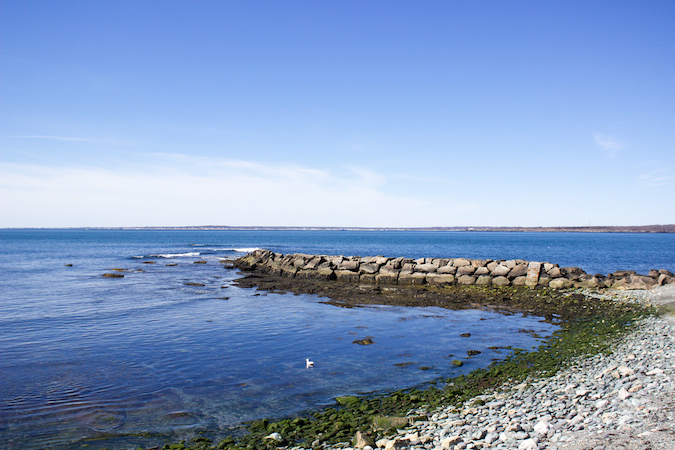 Rhode Island looks so lovely, and it must have been so nice and peaceful when you went. Best of luck in the corporate world, I'm sure you'll knock 'em dead. Hope you get to take your next road trip soon! Wow this is so beautiful! For some reason when I saw on instagram that you were in Newport I thought Newport Beach california. But this is just stunning! I so need to visit an East coast beach one day! Haha, I wish I were in CA! 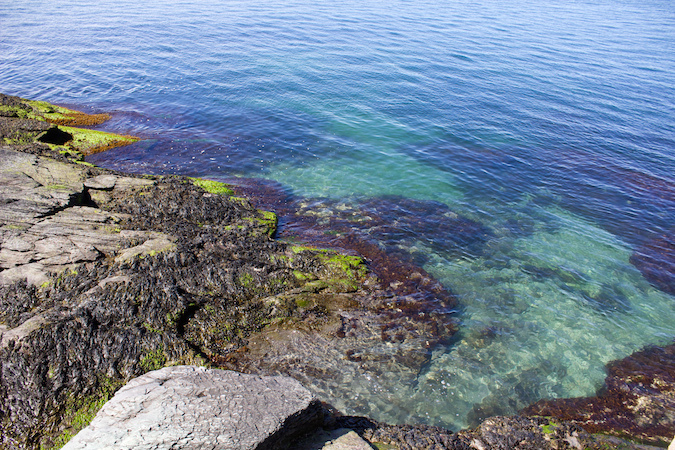 You should definitely check out the east coast's Newport some day though! All the pictures looks so gorgeous makes me want to got there! Love the photos:)they were awesome.. Hope you had a great time:). I want to go on vacation right now.